Zenaton handles all of the complexity to run, monitor and orchestrate async jobs. Save time and build better software. Focus on features instead of infrastructure. Zenaton provides a reliable queueing infrastructure that we host and deploy for you. Zenaton manages all of the backend infrastructure so you don't have to worry about the network losing packets, failing disks or virtual machines terminating unexpectedly. Our agent launches, monitors and logs every back-end execution and alerts you if something goes wrong. Process jobs concurrently on your workers — even for mono-threaded languages. It's easy to scale horizontally by adding more servers according to your needs. Zenaton dashboards give you a complete overview of your infrastructure where jobs are executed. Whatever the size of your technical team, Zenaton powers you businesswith the ability to deliver - even sophisticated - business processes,long-running marketing scenario or data pipelines. 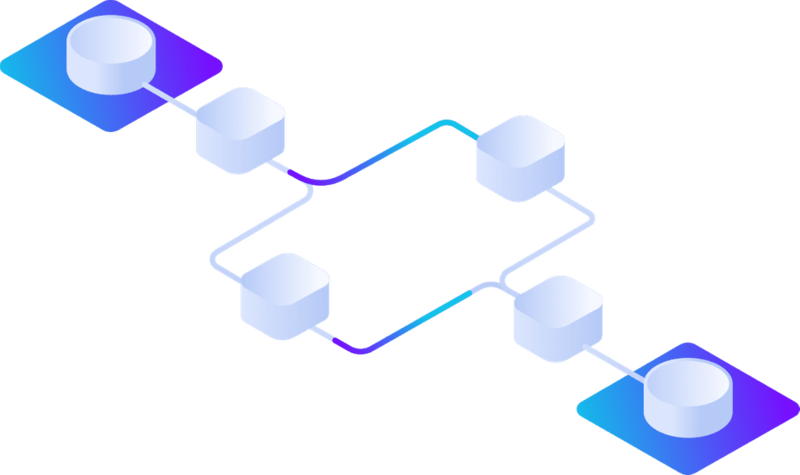 Zenaton lets you code asynchronous workflows as if they were run locally, but execute them in a distributed, scalable, durable and resilient way. We are currently working on implementing Zenaton for Go. We are currently working on implementing Zenaton for Java. We are currently working on implementing Zenaton for C#. Reducing shopping cart abandonment is an easy way to improve your conversion rate in ecommerce. With Zenaton, a few lines of code is all you need. Note: a 'ShoppingCartEvent' is sent to this workflow each time something is added to the shopping cart. If the shopping cart is not purchased, an email is sent after 20 minutes of inactivity. © 2019, Zenaton. All Rights Reserved.